Nestled in the Ahwatukee foothills with South Mountain as a beautiful backdrop, Vantage is a gated community offering the freedom to lock and leave when the urge to travel hits. Community amenities include pools, a spa, and a clubhouse with an exercise room and theater. Retail and restaurants are close by, and the businesses of Tempe, Phoenix, and Chandler are less than a half hour away via the 202 or I-10. Yet, Vantage feels like a world apart with hiking, biking, and walking trails and the peaceful desert just steps from the community. Vantage’s stunning condominiums range from 1,432 to 2,067 square feet, with gorgeous slab granite countertops, beautiful maple cabinetry, stainless steel built-in appliances, and 20x20 tile included. 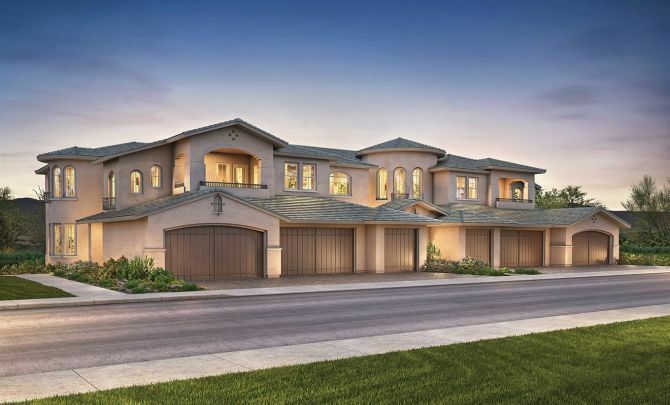 Each home has its own attached one- or two-car garage. Choose from six floorplans—three lofts and three flats—with spacious, open concept layouts.